If there was a phrase to describe my food preferences, I think it would be “a little bit of everything.” My friends often comment about how adventurous I am when we go out to eat. While that is true, I sometimes get into what I like to call, a “food rut.” This is when I stick with my usual meals and snacks for weeks or months or even longer, often because I like them, but also because trying something new could result in disappointment. I really don’t like to be disappointed when it comes to food! Like your mother or father may have said to you over and over as a kid, the only way to discover new favorites is by trying something new. Sometimes, you actually have to even make something yourself (gasp)!, which I often think is the best way to re-discover a favorite food. 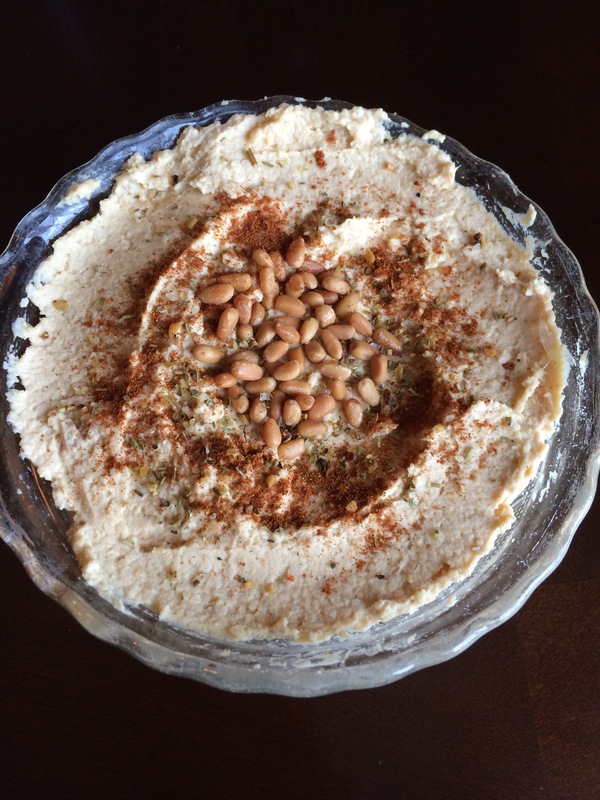 One of the most profound, adventurous moments I had recently was when I whipped up some homemade hummus. Instead of my usual store-bought Sabra hummus with pine nuts, I decided to buy the ingredients, dust off my food processor, and hope for the best! Since I have never made homemade hummus before, I wanted to find a reputable recipe. If I am simply Googling, I tend to go with the first couple of hits that I get. I lucked out, because Ina Garten’s was the top recipe, and she knows what she is doing in the kitchen. I followed her recipe almost exactly, except for my own addition of roasting the garlic cloves, and sprinkling pine nuts and paprika on top. The final result ended in creamy, zesty hummus that I shared with some friends, who gave me good reviews. I also have to admit that it tasted more authentic than the Sabra (not surprisingly). There is something so satisfying about following a recipe and having it turn out so well. Plus, I couldn’t believe how easy it was to make, in addition to it being very affordable. Thank you, Ina, for encouraging me to take a risk and take a break from Sabra. I needed it. Readers, what foods do you think are better when made from scratch? 2. Coat garlic cloves with olive oil and place on a baking sheet. Roast for about 30-40 minutes until fork-tender and golden brown. 3. Keep the oven on, and toast your pine nuts for about 3 minutes on a separate baking sheet until golden brown. 4. Add the freshly roasted garlic and the rest of the ingredients except for the pine nuts to the food processor and pulse until smooth. Place in a bowl and top with pine nuts and a sprinkling of paprika. Serve chilled or at room temp, preferably with lots of pita chips or veggies!